NBC Sports Group today announced it has reached a multi-year agreement with former Monster Energy NASCAR Cup Series driver A.J. 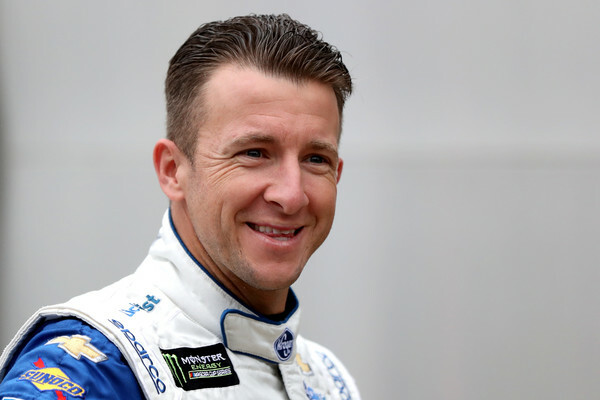 Allmendinger, who will join the network’s motorsports coverage beginning in January 2019. Allmendinger will work on various properties across NBC Sports’ unparalleled motorsports portfolio, including as a booth analyst for the network’s exclusive coverage of the IMSA SportsCar Championship. Additionally, he will contribute regularly to NBCSN’s daily motorsports show NASCAR America. Allmendinger will make his broadcast debut during NBC Sports’ coverage of the 57th running of the iconic Rolex 24 at Daytona on Saturday, Jan. 26, where he is also expected to race as part of Meyer Shank Racing (MSR). Allmendinger joins NBC Sports after competing in NASCAR for 13 seasons, most recently driving JTG Daugherty Racing’s No. 47 Chevy in the Monster Energy NASCAR Cup Series. He garnered his first career Cup Series win in 2014, and made his first playoff appearance that same year. Allmendinger also drove part-time in the NASCAR Xfinity Series, where he earned two victories (both in 2013). In 2012, Allmendinger was part of the overall-winning team in the Rolex 24 at Daytona. In 2006, he earned five wins and placed third overall in the Champ Car World Series.